Administration of American President Barack Obama has decided to spend $50 Million on Pakistani media to buy elements in it so that they can end hatred for America in Pakistan and improve their image in front of Pakistani public. 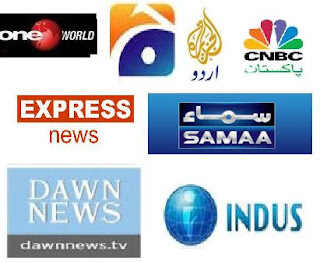 Many big names in Pakistani media are already working on American agenda whom you can see targeting Pakistan army, ISI, Kashmiri Mujahideen and supporting things like Kerry Lugar Bill and polices of America. Through Pakistani media they will also propagate about their projects in Pakistan which according to them are for welfare of Pakistan. Americans are already spending money on showing such programs on main stream Pakistan TV Channels which improve their image such as Voice of America that comes on Geo TV in which America is showed as a great friend of Pakistan and working for progress of Pakistan while in this program Iran and those people who are struggling for freedom of their land Afghanistan are showed as terrorists. Now Express TV another big TV Channel will also be showing the Voice of America.